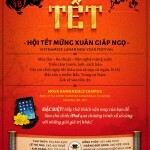 This is a traditional show of Lunar New Year celebration with many great performance and fun activities. Dynamic Home Team is one of the proud sponsors of this event, please contact us for pre-paid tickets for your family. Tax Reform – Should you prepay your 2018 Real Estate Tax?